Viewing 1 current event matching “learn programming” by Date. Free mentoring from local programmers. Whether you're a new programmer, a veteran exploring a new language, or a tech-adverse soul lost in a sea of WYSIWYG site generators, we're here to help. Join us for a few hours every other week as we answer your frustrations. Viewing 99 past events matching “learn programming” by Date. Come check out PDX Code Guild, meet instructors and staff, tour the school, and ask questions about the bootcamps. Chat about programming languages, how to learn code, what the industry is like and more. Drop in any time between 4:00pm and 6:00pm. Free parking, close to public transit, bicycle friendly. Bring a laptop and stay after for Monday Python. PLIBMTTBHGATY (Programming Languages I've Been Meaning To Try But Haven't Gotten Around To Yet) is a lightly-structured party where people get together and work on a project in a new programming language, either with or just near each other. This all started with the realization that plenty of people have a side-project in mind to work on, that it's more fun to work together, and that many of us are just waiting for a good excuse to get started. See the main website for more information, or Eventbrite to RSVP! -Be sure to bring a laptop. If you don’t have one, we can pair you with someone who does. 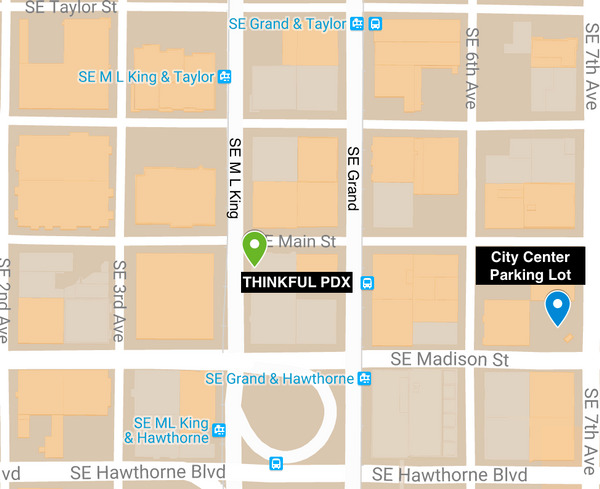 How to find us: Located on the corner of SE MLK and SE Main with entrance facing MLK. Street parking available West of MLK and East of Grand - Free after 7pm - Pay to Park via Parking Kitty App/Meters. City Center Parking Lot Corner of SE Madison & SE 7th. TriMet Stops for Streetcar (A&B Loops) and Busses for 1-2 Blocks surrounding location. Please click HERE to RSVP your spot on Eventbrite! Project-based, hands-on learning is the best way to learn how to code. Join us as we teach you the fundamentals of HTML & CSS while building an interactive website. In this workshop you’ll learn key HTML & CSS concepts as we review some sample code. Then you’ll start building your own site with the help of our instructor and TAs. See an example before you come: this webpage was made by an attendee at one of our last events! At the end of the night you’ll have your own site live on the internet to share with your friends and family. -Some previous exposure to HTML/CSS is helpful, but not required. With each new programming concept you learn, you will add new features to game - including keeping track of how many guesses you’ve had and starting a new game from scratch. See an example before you come: this guessing game was made by an attendee at one of last events! Be sure to bring a laptop. If you don’t have one, we can pair you with someone who does. Every year, Glassdoor releases it’s top 25 highest paying jobs. This year, almost half of them are in the tech field; if you’re thinking about getting into tech, now is the right time. We’ll cover the different ways you can break into tech and outline the pros and cons of all the options within the Portland tech community. Then we’ll dive into the technical career opportunities that are available in Portland - from jobs you’ve heard of like front end developer, to jobs that are new to the area, like developer evangelist. Located in the middle of the Burnside Bridgehead project Slate building. Entrance at the intersection of the Streetcar line & NE Couch. Experience with HTML/CSS is ideal. Some previous exposure to HTML/CSS is helpful, but not required. When you’re learning to code, one of the biggest decisions you can make is what programming language to start with. Depending on who you ask, you’ll get a different answer every time. We’re here to set the record straight. We’ll take everything important into account: versatility of the top programming languages, the Portland job market, starting salaries, and more. In the end, we’ll end up with an answer that can help shape the rest of your development career. Must RSVP on Eventbrite here. Bring a laptop, and if you don't have one we'll match you up with someone who does. Entrance on NW Everett between 13th & 14th. 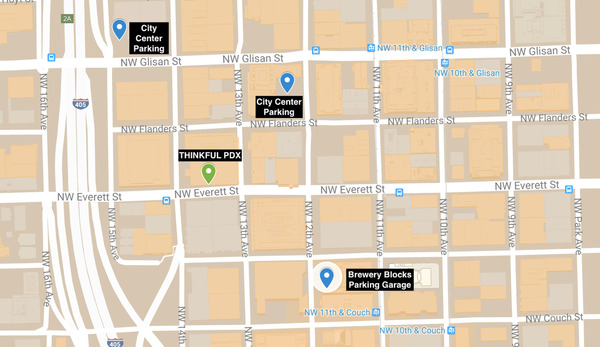 Free Street Parking available after 6pm.City Center & Brewery Blocks parking grages & lots available.TriMet Stops on NW 10th, 11th, 14th, Everett, Glisan, and Couch. Jan 10, 2018 Learn to Code | Thinkful Portland - What is a Data Scientist? What is a Data Scientist? What is Big Data? Wondering if you're qualified to start a career in this field? Join us for our last talk of 2017 to discuss this mysterious and exciting profession. We’ll cover the emergence of big data and what it means to be a data scientist. We’ll walk you through how to get the skills to become a data scientist, and focus on the different jobs that will be open to you once you’ve mastered the skill set. When you’re learning to code, one of the biggest decisions you can make is what programming language to start with. Depending on who you ask, you’ll get a different answer every time.We’re here to set the record straight. Located SE Portland near Ladd's Addition on 10th betweek SE Market & Mill.Free Street Parking available on every block.Buses 4, 10, 14, and 70 all have stops within 2-3 blocks of location.Check in at Front Desk for Event with Free Geek Admin Team. We all want to go on a vacation, choosing the right hotel can be work. In this practical workshop, you’ll use a dataset that contains hotel reviews to build a prediction model to guess where you might want to go on your next vacation. You’ll get an introduction to a data scientist’s tools and methods, including an overview of basic machine learning concepts. No previous knowledge of data science is required. Some programming background is helpful but not required. This is a designed to be an introductory (and fun) workshop for beginners. If you have a laptop, make sure to bring it. Otherwise, we can pair you up with someone who has one. Located in the middle of the Burnside Bridgehead project Slate building. Entrance at the intersection of the Streetcar line & NE Couch. 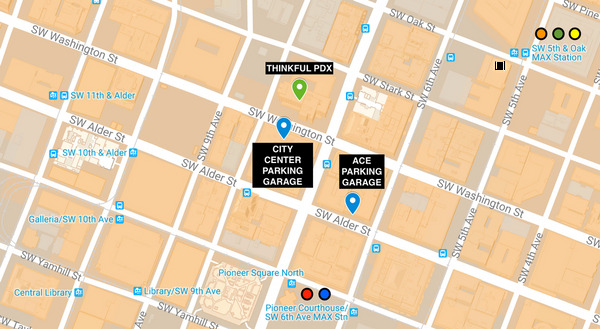 Free street parking available on NE Davis & 3rd.City Center Parking Lot across from Oregon Convention Center on NE Lloyd.TriMet Stops on NE MLK & Burnside and SE Grand & E Burnside. Join us as we teach you the fundamentals of HTML & CSS while completing a series of challenges to help you master your new skills. Together we’ll work through a series of drills that will teach you the core concepts of HTML (tags, elements, and attributes) as well as the basics of CSS (selectors, properties, and values). These drills are designed to be challenging, but manageable with the help of your fellow students, our TAs, and the instructor. We’ll wrap up the night by giving you a few tips on how to continue learning. With each new programming concept you learn, you will add new features to the game - including keeping track of how many guesses you’ve had and starting a new game from scratch. See an example before you come: this guessing game was made by an attendee at one of the last events! 2. Be sure to bring a laptop. If you don’t have one, we can try to pair you with someone who does. Wondering why Glassdoor named Data Scientist the best job in America? Come learn more about the field and the different job opportunities available to Data Scientists. Located in the middle of the Burnside Bridgehead project Slate building. Entrance at the intersection of the Streetcar line & NE Couch. 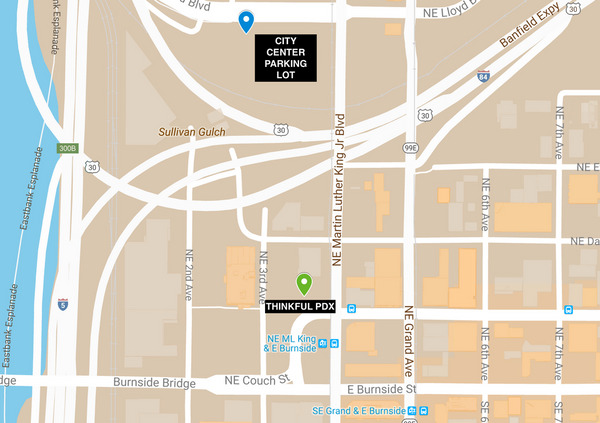 Free street parking available on NE Davis & 3rdCity Center Parking Lot across from Oregon Convention Center on NE LloydTriMet Stops on NE MLK & Burnside and SE Grand & E Burnside. Instagram is currently one of the world's most popular mobile apps. Equally famous are the app's many unique photo filters, which let users edit images with a simple swipe. Interested in becoming a data scientist? Come learn more about Thinkful’s Flexible Data Science Bootcamp, which prepares you for your next job without asking you to quit this one. You’ll learn about our mentorship program, career services, curriculum, and track record of job placement. This event will be held at CENTRL Office East. Free street parking available on NE Davis & 3rd.City Center Parking Lot across from Oregon Convention Center on NE Lloyd. TriMet Stops on NE MLK & Burnside and SE Grand & E Burnside. We all want to go on a vacation, choosing the right hotel can be work. In this practical workshop, you’ll use a dataset that contains hotel reviews to build a prediction model to guess where you might want to go on your next vacation. You’ll get an introduction to a data scientist’s tools and methods, including an overview of basic machine learning concepts. No previous knowledge of data science is required. Some programming background is helpful but not required. This is a designed to be an introductory (and fun) workshop for beginners. If you have a laptop, make sure to bring it. Otherwise, we can pair you up with someone who has one. This event will be held at Free Geek. Located SE Portland near Ladd's Addition on 10th betweek SE Market & Mill. Free Street Parking available on every block.Buses 4, 10, 14, and 70 all have stops within 2-3 blocks of location. Check in at Front Desk for Event with Free Geek Admin Team. Join us as we teach you the fundamentals of HTML & CSS while completing a series of challenges to help you master your new skills. Together we’ll work through a series of drills that will teach you the core concepts of HTML (tags, elements, and attributes) as well as the basics of CSS (selectors, properties, and values). These drills are designed to be challenging, but manageable with the help of your fellow students, our TAs, and the instructor. We’ll wrap up the night by giving you a few tips on how to continue learning. With each new programming concept you learn, you will add new features to your game - including customizing your pets, feeding them, and keeping track of their health. See an example before you come: this virtual pet was made by an attendee at one of last events! Wondering why Glassdoor named Data Scientist the best job in America? Come learn more about the field and the different job opportunities available to Data Scientists. We’ll cover the emergence of big data and what it means to be a data scientist. We’ll walk you through how to get the skills to become a data scientist, and focus on the different jobs that will be open to you once you’ve mastered the skill set. This event will be held at CENTRL East. Every year, Glassdoor releases its top 25 highest paying jobs. This year, almost half of them are in the tech field; if you’re thinking about getting into tech, now is the right time. We’ll cover the different ways you can break into tech and outline the pros and cons of all the options within the local tech community. Then we’ll dive into the technical career opportunities that are available locally - from jobs you’ve heard of like front end developer, to jobs that are new to the area, like developer evangelist. It can be tough to know which one is right for you. Join us as we answer questions like do I enroll in an immersive or part-time bootcamp? What type of career coaching do I need? How do I make sense of outcome stats and guarantees? How is bootcamp learning better or worse than learning on my own? We will discuss what to consider starting with the question of how boot camps emerged and the personal traits you need to succeed. This event will be held at CENTRL West. Entrance on NW Everett between 13th & 14th. Free Street Parking available after 6pm.City Center & Brewery Blocks parking grages & lots available. TriMet Stops on NW 10th, 11th, 14th, Everett, Glisan, and Couch. The outcome of the 2017 Academy Award for Best Picture surprised us all. But, could that have been predicted? In this practical workshop, you'll use a dataset that contains previous Oscar winners to build a prediction model to guess the winner for Best Picture Award. You'll get an introduction to a data scientist's tools and methods, including an overview of basic machine learning concepts. Unlike last year's Oscars, our model will predict only one winner! No previous knowledge of data science is required. Some programming background is helpful but not required. This is a designed to be an introductory (and fun) workshop for beginners. If you have a laptop, make sure to bring it. Otherwise, we can pair you up with someone who has one. If you're interested in jump-starting your data science career, learn more about our Portland-based Data Science Bootcamp now. Free Street Parking available on every block. Buses 4, 10, 14, and 70 all have stops within 2-3 blocks of location. You know the feeling. Cache-clearing refreshes, stale coffee, tufts of hair. There has to be a better way. Someone must know what I'm doing wrong. Whether you're a new programmer, a veteran exploring a new language, or a tech-adverse soul lost in a sea of WYSIWYG site generators, we're here to help. Join us for a few hours every week as we answer your frustrations. It's free mentorship from local programmers. Interested in becoming a Web Developer or Software Engineer? Come learn more about Thinkful’s flexible Full Stack program and our full-time Engineering Immersion program. Our flexible program prepares you for a new career without asking you to quit your current job while our full-time program combines the benefits of a live classroom and group work with 1-on-1 mentorship. You'll learn about our mentorship program, career services, curriculum, and track record of job placement. Together we'll work through a series of drills that will teach you the core concepts of HTML (tags, elements, and attributes) as well as the basics of CSS (selectors, properties, and values). These drills are designed to be challenging, but manageable with the help of your fellow students, our TAs, and the instructor. We'll wrap up the night by giving you a few tips on how to continue learning. We offer free mentoring from local programmers. May 14, 2018 Learn to Code | Thinkful Portland - What is a Data Scientist? Data Science has been called everything from the “Best Job in America” to “The Sexiest Job of the 21st Century.” Attend our intro to the most in-demand field in tech and learn what “becoming a data scientist” can mean for you. We'll start by walking through the ways data scientists impact companies. Next, we'll dive deep into the day-to-day of a data scientist, broken down by the 4 main types: Researchers, AI or automation gurus, statisticians, and super analysts. By the end you'll know what data scientists are, why the job is so in-demand, and how you can get hired in the field. With each new programming concept you learn, you will add new features to the game - including keeping track of how many guesses you've had and starting a new game from scratch. See an example before you come: this guessing game was made by an attendee at one of the last events! What is a Data Scientist? What is Big Data? Wondering if you're qualified to start a career in this field? We'll cover the emergence of big data and what it means to be a data scientist. We'll walk you through how to get the skills to become a data scientist, and focus on the different jobs that will be open to you once you've mastered the skill set. Learn the fundamentals of programming as you get introduced to Python, the second popular language on the job market. Join this workshop and start your journey towards becoming a developer or data scientist. We'll cover everything you need to know to start learning the language, including different data types, variables, and functions. We'll finish the workshop with a roadmap you can follow to continue learning Python after the meetup. "Project-based, hands-on learning is the best way to learn how to code. Join us as we teach you the fundamentals of HTML & CSS while building an interactive website. At the end of the night you'll have your own site live on the internet to share with your friends and family. Check in at Front Desk for Event with Free Geek Admin Team.". "Learn the fundamentals of programming as you get introduced to Python, the second popular language on the job market. Join this workshop and start your journey towards becoming a developer or data scientist. Check in at Front Desk for Event with Free Geek Admin Team." "We all want to go on a vacation, choosing the right hotel can be work. In this practical workshop, you’ll use a dataset that contains hotel reviews to build a prediction model to guess where you might want to go on your next vacation. You’ll get an introduction to a Data Scientist’s tools and methods, including an overview of basic machine learning concepts. Can box office sales be predicted? We'll show you how using Python, as well as introducing core Data Science concepts and processes. Be sure to bring your laptop. TriMet Stops on NE MLK & Burnside and SE Grand & E Burnside.SE Grand & E Burnside. Learn the fundamentals of programming with Python by building a Predictive Model from scratch, training the model and running predictions against it. We'll cover everything you need to know to start learning the language, including different data types, variables, and functions. We'll finish the workshop with a roadmap you can follow to continue learning Python and Data Science after the meetup. We all want to go on a vacation, but choosing the right hotel can be work. In this practical workshop, you’ll use a dataset that contains hotel reviews to build a prediction model to guess where you might want to go on your next vacation. You’ll get an introduction to a Data Scientist’s tools and methods, including an overview of basic machine learning concepts. Located SE Portland near Ladd's Addition on 10th between SE Market & Mill.